A new volume of the Wiley Series on Survey Methodology has just come out: “Advances in Comparative Survey Methods: Multinational, Multiregional and Multicultural Contexts ” and is publicly available now. We have contributed chapter 16, titled “Documenting the Survey Translation and Monitoring Process”. Survey documentation is an integral part of comparability of collected data across languages. Our chapter is concerned with input and output documentation: input documentation encompasses everything that is fed into the process by developers/translation managers to support the process of translation. Output documentation is everything that originates from translators, adjudicators, or other parties involved in the actual translation. The article was first submitted as an abstract in June 2014 by Dr. Dorothée Behr (from GESIS | Leibniz Institute for the Social Sciences), Steve Dept and Elica Krajčeva (both from cApStAn LQC) for an invited paper at the 3MC Conference that the CSDI (Comparative Survey Design and Implementation) organises every six years. The initial title was “Advantages and Limitations of comprehensive step-by-step Documentation of a sophisticated Survey Translation and Adaptation Process”. The paper was accepted, and all invited papers of the 3MC Conference (Chicago, July 2016) were to become chapters in the Wiley Monograph that is one of the outcomes of the conference. The article was drafted jointly by the three authors and, of course, peer-reviewed. Behr, D. , Dept, S. and Krajčeva, E. (2018). Documenting the Survey Translation and Monitoring Process, in Johnson, Timothy P., Beth-Ellen Pennell, Ineke A. Stoop and Brita Dorer (eds. 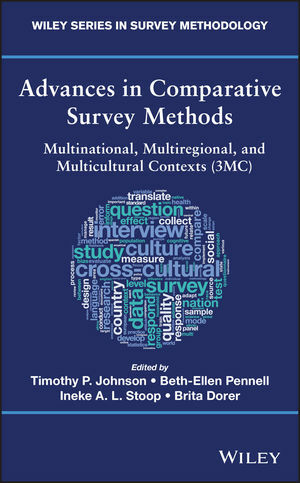 ), Advances in Comparative Survey Methods: Multinational, Multiregional and Multicultural Contexts (3MC), Wiley-Blackwell, 10/2018, pp. 341-354.